From its modest beginnings in Bob and Cathy Smith's home years ago, PAR has grown into a leading publisher of psychological assessment materials designed to help our Customers better serve their clients. You'll get exactly what you ordered. Courteous, highly trained professionals will handle each call. You'll receive free technical support. Quick response to your e-mails. Place orders online, by phone, or by fax with confidence regarding your privacy. 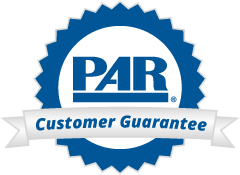 You'll be the first to know what's new at PAR. Not satisfied? Return with no questions asked. Copyright © by PAR, Inc., privately owned and operated since 1978. All rights reserved (N).